Rob: Some bourbon makers, including Woodford Reserve, I believe, have matured their bourbons in other barrels. Port and wine barrels have been tried. First, is it still OK to call those bourbons? Or are there bourbon-making rules that put those in different categories? What has been the most experimental additional aging that Woodford Reserve has tried? What’s the craziest barrel that no one has done yet? Why not? CM: As you note a “bourbon” can only be matured in a new, charred oak barrel. Therefore technically a bourbon “finished” in a second barrel that does not meet that criteria is no longer a bourbon, it becomes a “spirit specialty”. 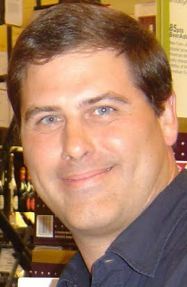 The product descriptor will identify was it is – such as it did for Woodford Reserve’s Sonoma-Cutrer Finish. That Masters Collection expression’s descriptor was “Kentucky Straight Bourbon Whiskey Finished in a California Chardonnay Barrel”. That is what it was, a finished bourbon and no longer simply a bourbon. We have experimented finishing mature bourbon in fortified wine barrels, still wine barrels, other spirit type barrels and exotic wood barrels. No other distillery has experimented with non-oak barrels. Some of the woods we have used have created some spectacular results but they are probably too costly to use in a meaningful way. Rob: I understand the heritage that Woodford Reserve has with horse racing and the Kentucky Derby. Woodford Reserve even has its own stable of race horses, right? Have any of your horses ever won the Kentucky Derby? Are any of your horses named with bourbon-themed names? What are they? What are some of Woodford Reserve employees’ favorite horse names? CM: We are extremely proud of the fact that Woodford Reserve is the first and only “Official Bourbon of the Kentucky Derby”, to have been associated with The Breeder’s Cup, the Belmont Stakes and many other prestigious thoroughbred races. Our Woodford Reserve Stables was an exciting aspect of our continuing relationship with the horse industry. However the program is now suspended. A number of our horses suffered a spate of injuries so we decided to leave horse racing to the experts and concentrate on what we do best – crafting Woodford Reserve. All of our horses had industry related names – my favorites – Angels Share and Reserve My Heart. 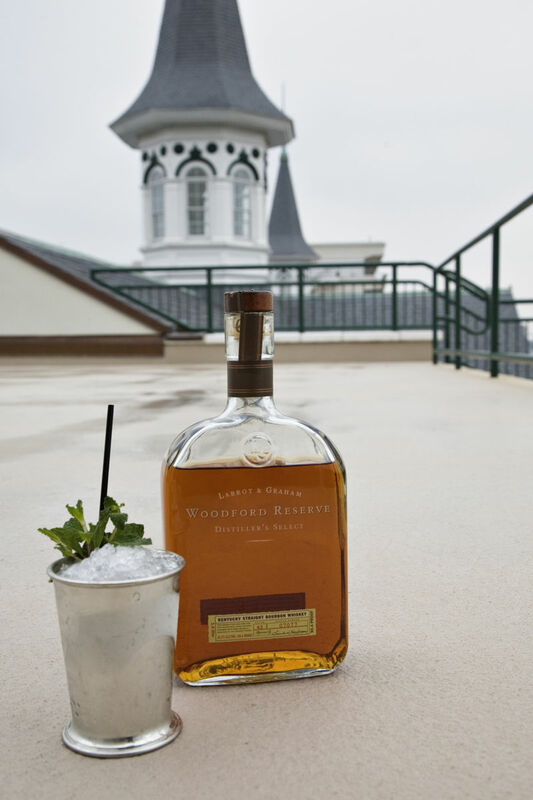 Rob: Speaking of the Kentucky Derby, I know they make a famous Mint Julep with Woodford Reserve. How do you feel about mixing bourbon in general? Aren’t high-end bourbons such as Woodford Reserve like other high-end spirits, usually enjoyed without the other ingredients? CM: Bourbon is one of the most versatile spirits there is. It can be enjoyed neat, on the rocks, with a splash of water, in highballs, sours, smashes (juleps) and many other drinks. And the better the bourbon the better the drinking experience. The fact that the “cocktail” concept was created in America with American whiskey as its base makes me very comfortable with the use of Woodford Reserve in many styles and types of drink. We craft Woodford Reserve for people to enjoy responsibly and if that entails sipping a “Woodford and Ginger” or a Woodford Manhattan we can only respect that as the consumer’s choice. Rob: If you and I were just chatting about the future of Woodford Reserve and what new cool innovative products were in the works, what would you tell me? Yes, I’m asking what secrets you might share. CM: Innovation is part of Woodford Reserve’s DNA. We have a number of products in barrel, in warehouse, waiting to take their place in the Masters Collection’s line-up. We also have some new Woodford Reserve expressions biding their time as well. That is as much as I am allowed to reveal! Many thanks to Brown-Forman and Chris Morris as well as Rob for his great questions! I would like to contact Mr. Chris Morris via email.